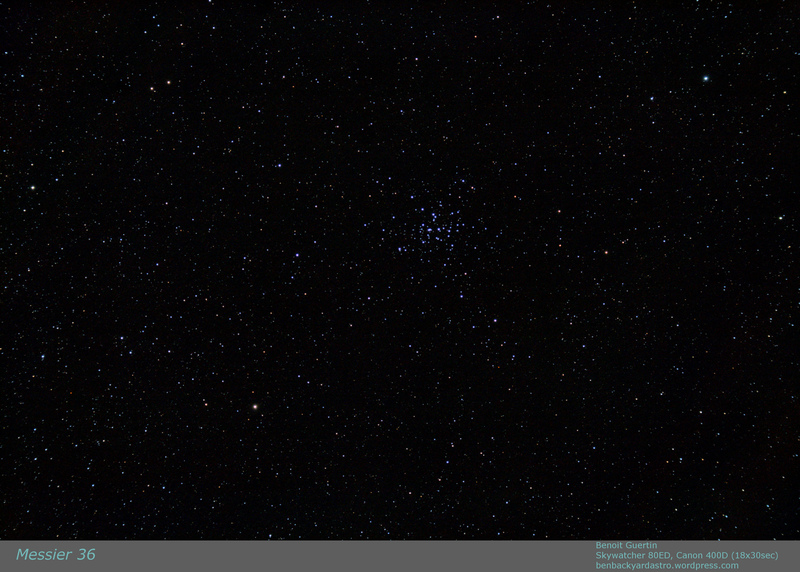 Open Cluster Messier 36 (NGC 1960) is located in the Auriga constellation. Located about 4,100 light years from Earth, and 14 light years across, it has at least 60 members. It is very similar to the Pleiades (M45) and if M36 was at the same distance (M45 is 10 times closer) it would be of similar magnitude. 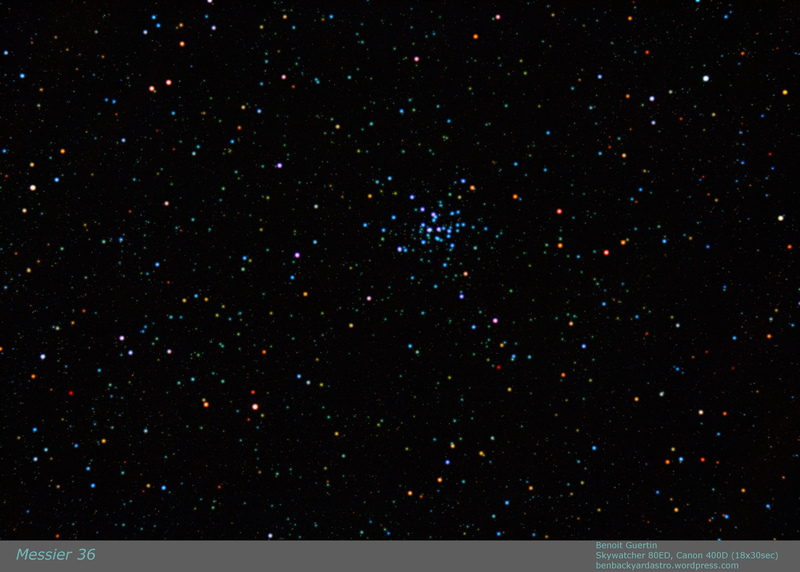 Two other open clusters from Messier’s catalog are located nearby: M37 and M38. The stars in the cluster are of spectral type B2, and fairly young: 25 million years. The blue-ish stars contrast with the older yellow and orange stars in the background. This can be further enhanced by using the SBLUR function in IRIS to selectively blur and enhance the colors of bright stars. While the colors are exaggerated in the image below, it is nevertheless interesting to see the vast diversity of stars and their color. This entry was posted in Image Processing, Photo and tagged Astronomy, Astrophoto, Astrophotography, Messier, Open Cluster by Benoit Guertin. Bookmark the permalink.